Boston dog bite lawyer Christopher Earley has extensive experience handling dog bite and dog attack personal injury cases. If you were bitten or attacked by a dog, you came to the right place for legal help. Man’s best friend provides loving and dedicated companionship. Unfortunately, dogs are also prone to biting innocent people. When these bites occur, very serious, and sometimes permanent injuries result. Our dog bite attorneys have acheived many successful settlements over the years for dog bite victims. When dogs attack, their victims are usually defenseless. Bites, puncture wounds, and scarring typically result from these attacks. Such scarring or disfigurement can be devastating both physically and psychologically. Frequently, the victim develops a fear of dogs that can last for years. Many of these attacks happen to people that are visitors in other people’s homes. If the visitor is also on-the-clock for an employer at the time of the attack, workers compensation can be triggered. Children are often the victims of dog bite attacks. Sadly, many children are bitten on the face in these attacks. The physical and mental scars these attacks cause can last a lifetime. Any dog bite settlement involving a minor must be approved by a judge. This however is a quick and easy part of the overall dog bite claim process. Dog bites are personal injury claims. These claims are made against the owner of the dog that bit you. They are called homeowners insurance claims. The homeowners insurance company for the dog owner provides the insurance for the attack. If the dog owner does not have homeowners insurance, it becomes difficult to collect damages. In that situation, the dog owner must be pursued personally. If the uninsured dog owner does not have sufficient assets, collecting a settlement becomes nearly impossible. Many homeowners insurance companies limit or exclude from coverage specific dogs such as pit bulls. As a Massachusetts dog bite law firm, we are fully committed to recovering full and complete personal injury compensation for our clients. We understand how difficult the experience of a dog bite can be for our clients, both physically and emotionally. We are here to guide you through this process smoothly so you can focus on healing and recovering from your dog bite injuries. In Massachusetts, if a dog bites you, the owner of the dog is automatically liable to you for all damages and losses the dog causes. This is called strict liability. The only available defenses available to the dog owner is to show the dog bite victim was teasing, tormentimg, or abusing the dog. These defenses are usually easy to defeat, and are rarely raised. Do I need money to hire you? No. We only get paid if your dog bite case settles, and that is called a contingency fee. If we don’t win your case, then we don’t get paid. We always offer guaranteed FREE consultations. How long does the Massachusetts dog bite claim process take? It really depends on many factors. Assuming there is insurance to pursue, then once you are done with your medical treatment, when we can approach settlement with the homeowners insurance company. Most dog bite attack cases settle. Court is always a possibility, just like with any legal matter. However, given how friendly Massachusetts dog bite laws are for victims, court, and trial, are both highly unlikely. How do I find a lawyer near me? Hire us. We handle all Massachusetts dog bite cases and we will travel to you if that is more convenient. Do I need a lawyer if I was bitten by a dog? It always make sense to have representation. The insurance company will only offer you a full and fair settlement when you have a qualified Massachusetts dog bite lawyer on your side. Do I Need A Lawyer If My Dog Bites Someone? Regardless if you own or rent your home, be sure to carry liability insurance. This will cover you in the event your dog bites someone. Be sure to always do your best to prevent your dog from biting someone. This depends on a few different factors. Since liability igenerally automatic with these cases, the real issues that influence a settlement are just how bad your injuries are following the attack, and whether they are permanent. Also, if there was any mental distress or PTSD (Post-Traumatic Stress Disorder) suffered, that too is factored into a settlement figure. According to the CDC, there are on average roughly 4.5 million dog bites each year in the United States. On average, a dog bite attack happens every 75 seconds in the United States. Of all dog bites and attacks, roughly 2/3 are caused by pit bulls and rottweilers. Sadly, children are frequently attacked by dogs. Massachusetts dog bite law is very clear: with few exceptions, if you are bitten by a dog, the owner of the dog is automatically liable to you. This is called strict liability. As long as the dog bite victim was not teasing, tormenting or abusing the dog, the dog owner is by law automatically liable to you for all damages you suffer from the attack. These three dog bite defenses do not apply to children under 7 years of age. These types of personal injury cases are covered by the dog owner’s homeowners insurance company. 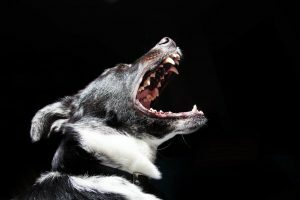 Dog bite cases against landlords for a bite caused by a tenant’s dog to another tenant, or visitor, are governed by a negligence standard. This is a tougher standard than strict liability. This typically happens when the dog chases you and you become injured, even in the absence of an actual bite. As long as that is shown, the dog owner is strictly liable for all injuries you sustained. Scarring is typically the primary, lasting injury resulting from a dog bite. Often scar revision surgery is necessary with dog bite scars, and this is done by a plastic surgeon. Insurance companies sometimes want to wait a year after the attack to make their settlement offer. That is because it can take that long for dog bite scars to fully mature and heal. Other insurance companies do not require a year-long wait before entering into settlement discussions. These cases have very strict time limits. You have three years from the date of the dog bite to bring a lawsuit in Massachusetts. This deadline, if missed, will render your claim moot. Taking action promptly is the key to success with these claims. Delays never serve to help a dog bite claim in any way. We are the Boston dog law firm that can help you during this difficult time. Keep in mind it is very important with these cases that you not speak with any insurance adjusters that contact you from the dog owner’s homeowners insurance company. Once you hire us, we start working on your case. We send a letter of representation to the dog owner in order to find out which homeowners insurance carrier we should be pursuing. Once the insurance company is identified, we then provide additional information to the insurer on what happened, and the injuries you sustained, in the attack. We then collect all evidence to support the claim. This includes any photographs of the dog, as well as of your injuries. We then assemble any witness statements, as well as all of your medical records, medical bills, and proof of lost wages. Next, we put together a demand package and send it to the insurance company. A few weeks later the insurance company will respond with a settlement offer. The case then will either settle through negotiation, or a lawsuit against the dog’s owner will need to be filed. The lawsuit is filed in either District Court or Superior Court. We are lawyers with extensive experience handling these cases. We aggressively pursue for our clients full and fair compensation for their injuries. If you were bitten by a dog, call us today. We do not collect a legal fee unless we obtain compensation for you. Read what our clients say about us, our Yelp reviews, and our five-star Google reviews. Contact Boston dog bite lawyer for answers to your Massachusetts dog bite attorney questions, even on nights and weekends, and find out more about who we are and what we offer. Boston dog bite lawyer representing Massachusetts dog bite victims in Boston, MA and serve clients throughout Massachusetts including Cambridge, Somerville, Chelsea, Everett, Malden, Revere, Lynn, Lawrence, Andover, Newton, Quincy, Medford, Plymouth, Worcester, Fall River, Bellingham, Weymouth, Natick, Stoneham, Wakefield, Reading, Wilmington, Burlington, Lynnfield, Saugus, Peabody, Danvers, Middleton, North Andover, North Reading, Woburn, Canton, Stoughton, Randolph, Dedham, Norwood, Mansfield, Taunton, Brockton Suffolk County, Middlesex County, Essex County, Worcester County, Norfolk County, Plymouth County, Bristol County and Barnstable County.